“This is the start to enable my dreams Mom” – the words my eldest son uttered to me right after his graduation on his BS Information Technology college degree four years ago and just right after graduation he was able to get employment. I can’t help smiling seeing his hard work and determination to pursue his goals and endeavors. Every year, he and my husband have a list of what to do, buy and accomplish before the year ends. Buying gadgets, house appliances, home furniture, up to home improvement. Lately, I’ve been hearing that they are planning to buy a new car. While browsing over the internet, he had stumbled Accords for Sale in Provo. He wanted a brand new one this time, being a Bachelor my husband suggested that a 2 door Coupe will fit him. They agreed that he will save a portion of his salary to buy his dream car – the Accord EX-L V-6. The Accord EX-L V-6 is a high-performance vehicle, designed to deliver outstanding performance at any engine speed being quick and agile. 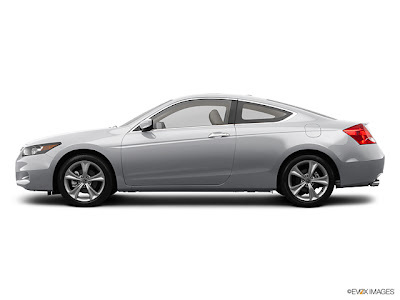 In terms of safety, it embodies the Honda’s evolving and comprehensive approach to protection. One of its best features is fuel efficiency, as its streamlined shape was built and designed to enhance gas mileage and increase efficiency even running on regular unleaded gasoline. It also gives less harm to environment offering the Ultra-Low-Emission Vehicle (ULEV)-rated emission technology. The car is CD, MP3 or WMA ready too. Moreover, it has an exceptional value for its craftsmanship results in a high resale value. The alabaster silver exterior color is a good choice. I wish and pray that my son’s dream car will come to materialize in the near future. wow congrats to your son for getting a job so quickly after graduation! Me, I had to take a teaching job for 1 semester after graduation para di mabakante.. :), good thing the ball started rolling and i've been in one job to another since then. It's good to have set goals for the year and it helps to aim high and whether you hit or not your still in a higher place by just trying to reach high. It is really good to have a plan and set a goal. For sure, your son will really make his dream come into reality. hope theyll get the accord soon! it feels so good when you set goals and you actually achieve them all. save a lot! wow, that's a nice goal to have. And that's an awesome car. You have inspired him plenty to seek out to be successful and happy. a nice and reliable car, just what i need nowadays... LOL. just need to find something that can fit my budget... Yahweh bless. I wish I can drive and have that car someday, very nice..
wow.. i like the car design!! panalo!! It's really good to set a goal for yourself! Looks like your son is on the right track! him up but because he's looking forward for a BETTER future.